European Union (EU) has established India’s first Jean Monnet Centre of Excellence (CoE) at Department of European Studies (DES) at Manipal Academy of Higher Education (MAHE) in New Delhi. It comes with grant of €1,00,000 to pursue India-EU interdisciplinary studies in culture, literature, education and society. This is for fifth time MAHE has been awarded grants under Erasmus+Jean Monnet initiative. Jean Monnet, who is known as “The Father of Europe”, was French political economist and diplomat. 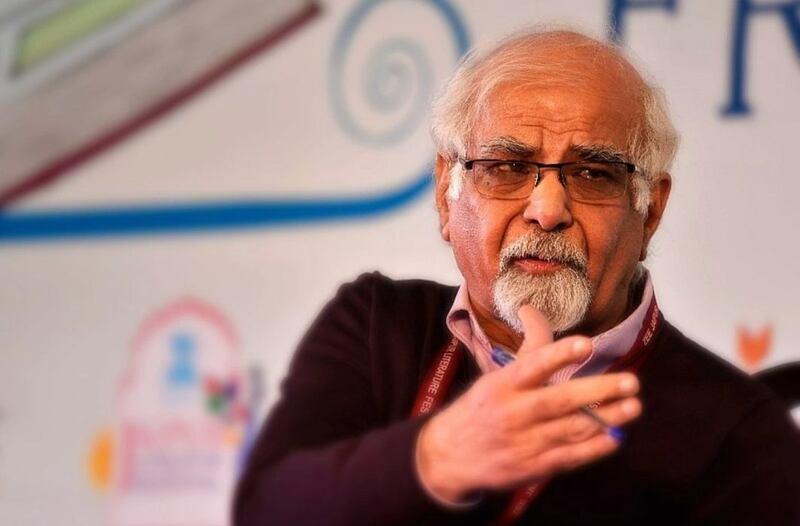 Eminent economist and columnist Surjit Bhalla has resigned as part-time member of Economic Advisory Council to the Prime Minister (EAC-PM). His resignation comes day after Reserve Bank of India (RBI) Governor Urjit Patel resigned. PMEAC is non-constitutional and non-statutory, non-permanent and independent body to give advice to prime minister on economic matters such as inflation, GDP changes etc. It is headed by Niti Aayog member Bibek Debroy. Comptroller and Auditor General (CAG) Rajiv Mehrishi was elected as Vice-Chair of United Nations (UN) Panel of Auditors at its annual meeting held in New York. United Nations Panel of Auditors was established by UN General Assembly Resolution 1438 (XIV) in 1959. Its main objectives are to further co-ordination of audits for which its members are responsible and to exchange information on audit methods and findings. Union Ministry of Home Affairs (MHA) has launched Twitter account @CyberDost to spread awareness about cybercrimes and normal precautions to be taken. It is aimed at enhancing people’s basic knowledge about cybercrimes and precautions to be taken for prevention. This twitter handle will educate people about various channels through which complaints about cyber-crimes can be filed and makes people aware of their duties regarding misuse of cyber space by some people in the country. Union Government has inked $31 million loan agreement with Asian Development Bank (ADB) for Tamil Nadu Government’s Infrastructure Development Investment Program for Tourism (IDIPT). It is fourth loan tranche for this program aimed at building-up tourism industry and boost visitor arrivals in Tamil Nadu. IDIPT is $250 million project approved in September 2010. The Prime Minister Narendra Modi inaugurated the fourth Partners’ Forum on December 12, 2018 at New Delhi. The Government of India, in association with the Partnership for Maternal, Newborn and Child Health (PMNCH), is hosting this two-day international conference. Partners’ Forum is a global health partnership launched in September 2005 to accelerate efforts to reduce child and maternal mortality, improve adolescent, child, newborn and maternal health. Rattan Lal, a distinguished university professor of soil science at the Ohio State University, won the ‘Glinka World Soil Prize 2018’ in a ceremony at the headquarters of UN FAO in Rome. He was awarded for his remarkable contribution to sustainable soil management. Lal was born in Gujranwala in West Punjab, Pakistan, and his family came to India as refugees in 1948. The Glinka World Soil Prize, named after the pioneering Russian scientist Konstantin D. Glinka, is considered as the highest honour in the soil science profession. The Manipur Government on December 11, 2018 honoured AIBA World Women Boxing Gold medallist MC Mary Kom with the title “Meethoileima” (par excellent queen) at a function in Imphal. The state government conferred the title ‘Meethoileima’ in recognition of her unprecedented feat of winning the sixth gold medal in the recently concluded World Boxing Championship and her illustrious career in the field. 1. Who is the head of the Economic Advisory Council to the Prime Minister (EAC-PM)? 2. When was United Nations Panel of Auditors established? 3. When was the project Infrastructure Development Investment Program for Tourism (IDIPT) approved? 4. What is the Twitter account is launched by Union Ministry of Home Affairs (MHA) to spread awareness about cybercrimes and normal precautions to be taken? 5. When was Partners’ Forum which is a global health partnership launched? 6. Who won Glinka World Soil Prize 2018? 7. Who has been given the title “Meethoileima”?